Having outlined the vocabulary of human enhancement and the debate over the issue in general terms, it is time to address specific enhancements and the potential consequences of these enhancements in greater depth. P. Belluck (2009), ‘Burst of Technology Helps to See’, The New York Times, 26 September, http://www.nytimes.com/2009/09/27/health/research/27eye.html?pagewanted=1, date accessed 17 August 2010. M.D. Lemonick, D. Bjerklie and A. Park (1999), ‘Designer Babies’, Time Magazine, 11 January, http://www.time.com/time/magazine/article/0,9171,989987,00.html, date accessed 17 August 2010. T. Assenheuer and J. Jessen (2002), ‘Interview: Auf schiefer Ebene’, Zeit Online, May, http://www.zeit.de/2002/05/200205_habermasint.xml, date accessed 17 August 2010. M. Henderson (2010), ‘Demand for ‘Designer Babies To Grow Dramatically’, The Times of London, 7 January, http://www.timesonline.co.uk/tol/news/sci-ence/genetics/article6978400.ece#cid=OTC-RSS&attr=1515793, date accessed 17 August 2010. T. Sejnowski (2010), ‘When Will We Be Able to Build Brains Like Ours?’ Scientific American, 27 April, http://www.scientificamerican.com/article. cfm?id=when-build-brains-like-ours, date accessed 17 August 2010. K.W. Horch and G.S. Dhillon (eds) (2004), ‘Neuroprosthetics: Theory and Practice’, Series on Bioengineering and Biomedical Engineering, Vol. 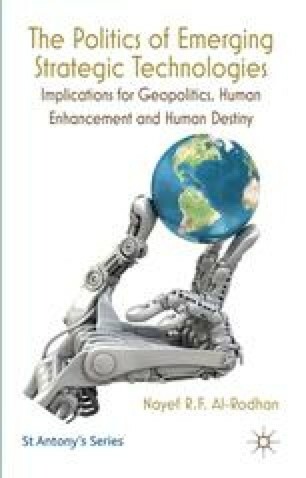 2, February, http://www.worldscibooks.com/engineering/4987.html, date accessed 17 August 2010. M. Brain (2007), ‘How Uploading Works’, Journal of Geoethical Nanotechnology, Vol. 1, No. 2, Spring, http://ieet.org/index.php/IEET/more/brain20070409/, date accessed 17 August 2010.